According to IDC, spending on digital transformation technologies will reach $1.7 trillion worldwide by the end of 2019. Almost every business is pursuing a digital transformation strategy. With data the new digital currency, cloud storage and modern enterprise file services are the springboard to your digital agenda. 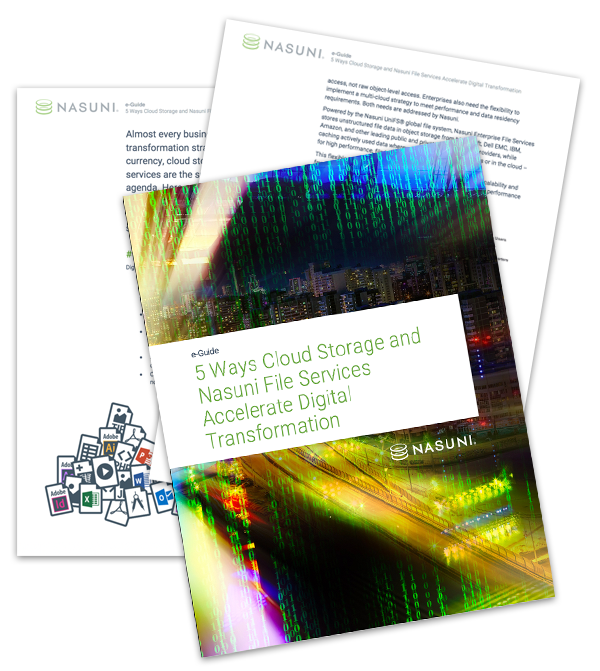 Download this e-Guide and learn how to build cloud storage and file services into your Digital Transformation Strategy in 2019. Please fill out this brief form to receive your e-Guide!